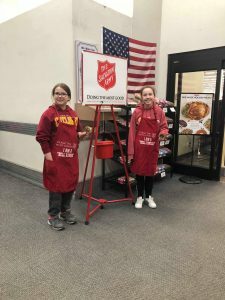 On Monday, December 3rd the Ottumwa Family YMCA youth volunteered for a worth cause and supported the Salvation Army by ringing bells for their red pail donation buckets. The youth had been discussing volunteer opportunities for this season and were extremely excited to help others in some way. 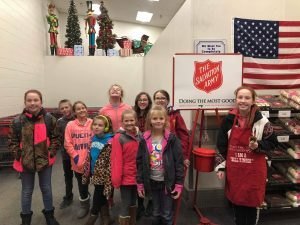 With the help of Kayla Eckerman, YMCA youth and family programs coordinator, about a dozen youth took shifts on ringing bells at South Hy-Vee in Ottumwa from 5:00 to 7:00 pm. They we’re singing carols, greeting patrons and their youthful exuberance eventually culminated into them helping retrieve customer shopping carts once they were done with them! 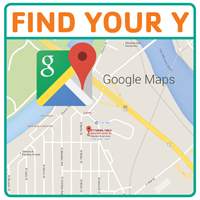 These are the ways that the Ottumwa Family YMCA supports strong citizenship and social responsibility in youth here in Ottumwa. It often surprises us that we simply need to give the youth the opportunity to help or engage those in need and then stand back and watch as they make a big impact on the community and on all of us watching them do it. Next post: YMCA Child Care has Thanksgiving Feast!